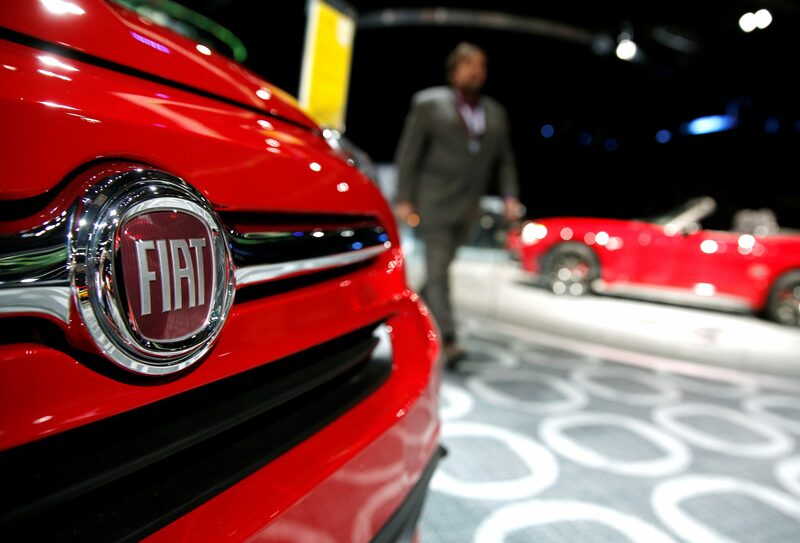 A car with the Fiat logo badge is seen on display at the North American International Auto Show in Detroit, Michigan, U.S., January 16, 2018. French carmaker Renault intends to restart merger talks with Japan’s Nissan Motor within 12 months, the Financial Times reported on March 27. Once the merger is completed, Renault would consider a bid for Fiat Chrysler Automobiles (FCA). Renault has a long-term partnership with Nissan and is 15 percent owned by the French government. Shares in Renault were up 3.6 percent at 59 euros by 0930 GMT on March 27, while Nissan shares fell 3.5 percent to 925 yen. FCA shares were up 3.6 percent at 13.56 euros. Renault, Nissan and FCA declined to comment.